AFVs (alternative fuel vehicles) recorded a 5.5% share of the European new car market in October, following a 9.9% decline in diesel registrations. 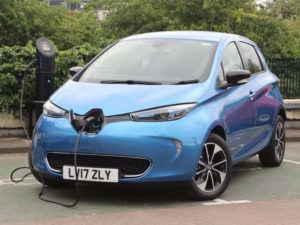 The figures from JATO Dynamics show 66,000 electric and hybrid vehicles were registered last month, giving such vehicles their second highest market share ever. In contrast, demand for diesel vehicles declined with 498,500 units registered; equating to a 41.4% of the total market: the lowest market share for October in the last 10 years. Petrol-engined vehicles saw an uplift with 619,300 units registered during the month, meaning the fuel type accounted for 51.5% of the market, an increase in market share of 5.1%. Overall, a total of 1,202,877 new registrations were recorded in October; an increase of 5.6% when compared to the same month last year and the highest volume recorded for October since 2009, when 1.26 million units were registered. Strong performances among the mainstream brands helped contribute to the rise, with Volkswagen – in first place – up 2.7% compared to October 2016, while second-placed Renault was up 15.5%, followed by Ford (5.3%), Peugeot (16.5%) and Mercedes (8.8%). However, the premium brands overall recorded a 1% decline. 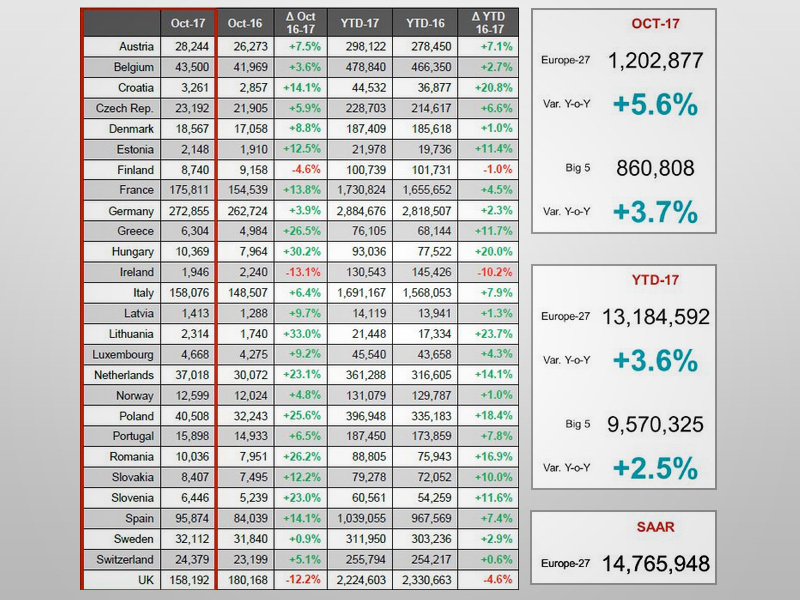 For the year to date, registrations are up 3.6% to 13.18 million units; the highest volume recorded since 2007, when 13.62 million vehicles were registered during the first 10 months of the year.